FREE 20 MINUTE PHONE CONSULTATION!!! Energy Healing, Emotional Release, Intuitive Guidance, and Gentle Breathwork, can all be part of a private session. You may focus on one or more of these if you choose or allow them come through intuitively in the moment. Amyris aligns with her clients soul and guides to bring through the energy, love, and information to help clients release old emotions, clear blocked energy, and offer the guidance to allow their TRUE loving, and joyful self to shine through. Many claim feeling light, bright, clear, and connected to themselves after a session. She also supports them to access their own inner wisdom and guidance. Amyris empowers all her clients with the transformational tools to continue their process on their own. She is a firm believer in everyone’s ability to self heal and BE their authentic self. Private sessions are available over the phone or Zoom, or in person in Santa Barbara, CA. Read more about private sessions. This can be done with personalized and private attention to you and your specific needs as they arise. Amyris also offers Awakening the Goddess Within in workshops, and retreats. All clients enrolled in Awakening the Goddess Within – private sessions series – receives 50% off all workshops and retreats. Read more about Awakening the Goddess Within. Amyris offers Awakening the Goddess Within in workshops or as she likes to call them Loveshops. Experience the heart-centered connection and sisterhood of gathering with other women in self exploration, awakening, embodiment of our magic, power, and sensuality. You will walk away from this workshop feeling like even more of the powerful, beautiful you. To receive notifications of upcoming workshops sign up for Amyris’s newsletter. Want to go to COSTA RICA! Amyris offers Women’s Retreats in magical Costa Rica. She lived there herself for 1 year and experienced the deep transformational energies and the freedom and joy of the Pura Vida life style and now she wants to share it with you. Sign up to be notified of the next upcoming retreat here. 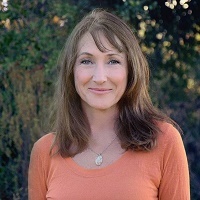 Amyris has been a Spiritual Teacher, Healer, and Guide since 2005 offering her loving support, intuitive guidance, and self healing and embodiment techniques through private sessions, workshops, and retreats. Her unique style of transformational work has helped hundreds of people free themselves from the past and live as a more conscious, loving, and empowered being. She is an Usui Reiki Master, Conscious Breath Practitioner, and has trained in the Kundalini Awakening Process (alchemical qigong, tantra, esoteric yoga) with Tao Semko. She is the Author of ‘Awakening the Goddess Within – the embodiment of Love’, revolutionary work for women, ‘The Self Mastery Series’ for men and women, tools in managing one’s consciousness, self healing, and embodying one’s authentic nature, and ‘Breath of Oneness’ transformational breathwork for rapid release of emotions, activation of chi and kundalini, and embodiment of the authentic self. Each of my sessions with Amyris Wilson have been inspiring and empowering. Amyris is adept at “dropping in”—embodying pure, non-judgmental awareness — and in this Presence it is easier for me to gently see to the heart of the issues that are up for me. Her patient, intuitive guidance has helped me to identify and begin to release complex feelings and patterns. Having many years of experience on the “spiritual path,” Amyris has readily shared a wealth of great tools and techniques for expanding my experience of myself. In her Presence, it has been easier for me to have a sense of this expanded self, to be able to recognize and embody it outside my sessions with her. Amyris also is a powerful energy worker, and on quite a few occasions I’ve experienced significant energetic and physical changes through her hands-on technique. With all her obvious gifts and penetrating insight, Amyris has been very consistent in wanting me to discover my own Self, to find my own gifts, connection, and empowerment. She communicates with a great deal of consistency, wisdom, humility, and loving kindness. A rare and lovely being whose commitment to her own greater awareness is constantly inspiring, Amyris’ joy, authenticity, courage, and enthusiasm for deep healing are contagious! I have enjoyed many sessions with Amyris over the past year and continue to receive lasting benefits from this powerful and potent healing work even days after the session. Amyris is a clear and articulate facilitator of pure intention and transformational energy. She channels both pure energy and verbal messages with clarity. After a healing session with Amyris, I feel totally connected throughout my central nervous system, calm in my thoughts, and powerful in my Being.